I was in Iceland at the top of the Kerid Crater when an invitation to ring in the holiday season with PANDORA popped into my inbox. 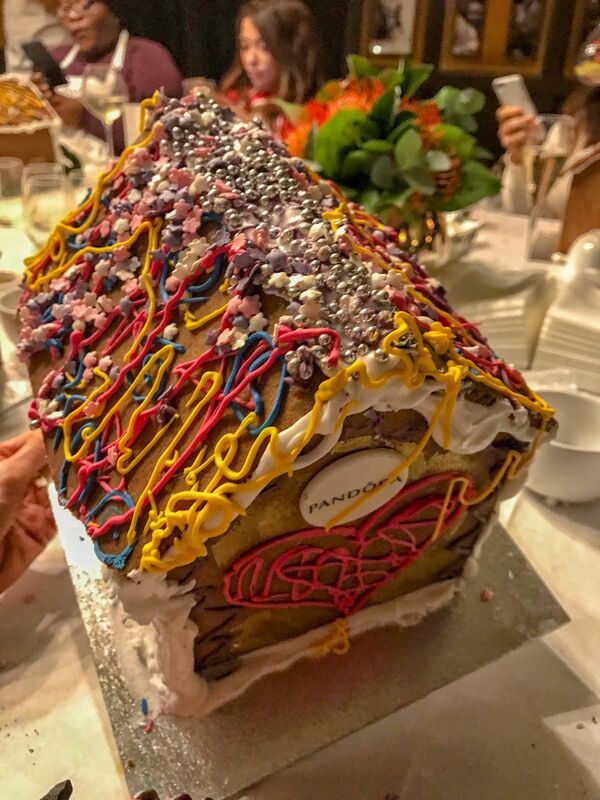 The charming festive gingerbread house event with PANDORA was not only an opportunity to view the new season jewellery collection, but I would also be attending a Gingerbread House Decorating Workshop. Naturally, I was over the moon (well Kerid Crater) and at that moment (during September) I was already swept up in all the festivities to come. This year there would be no transition from The Grinch to Buddy the Elf, I was already well and truly in the spirit of Christmas. 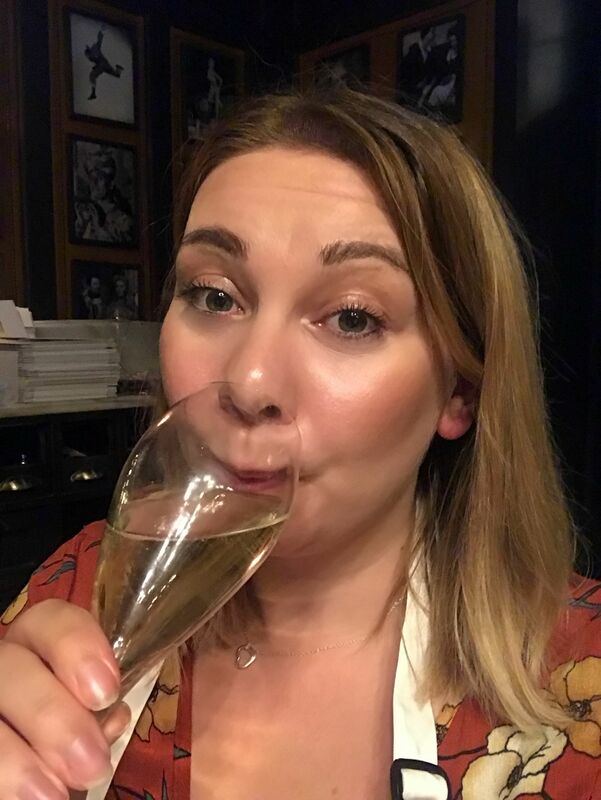 I made my way across the cobbled streets of Covent Garden to The Ivy, with my friend Sophie Davis from Sophie’s Suitcase, who coincidentally I’d met at Milton Keynes Train Station and discovered was also attending the event. 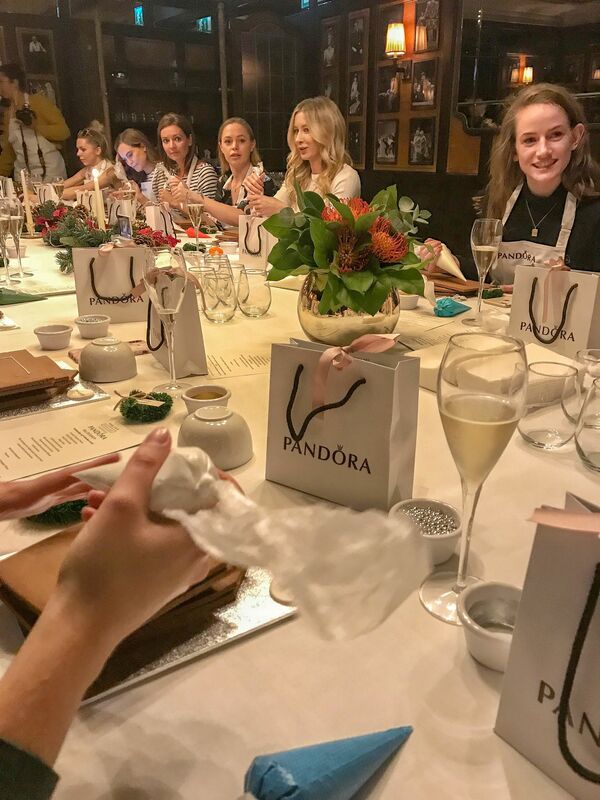 We followed a dark staircase down to a room tucked away underneath The Ivy Market Grill and as the door opened we were greeted by the PANDORA Team and the other bloggers in attendance, who were already sipping on flutes of bubbles. This was my first time attending a PANDORA event and laid out in front of me was a placeholder with my name and a PANDORA gift bag. My heart skipped a beat in excitement. I’d never been to an event where I had my name and a gift in front of me. After watching endless videos of beauty and fashion bloggers attend such events, here I was, little ol me sat smiling at my name and gift in front of me. PANDORA means ‘all gifted’ in Greek and as I looked across the room I saw that a placeholder and bag was set out for all the bloggers in attendance. My awestruck moment was interrupted as one of the waiting staff offered me a canapé and a glass of fizz. 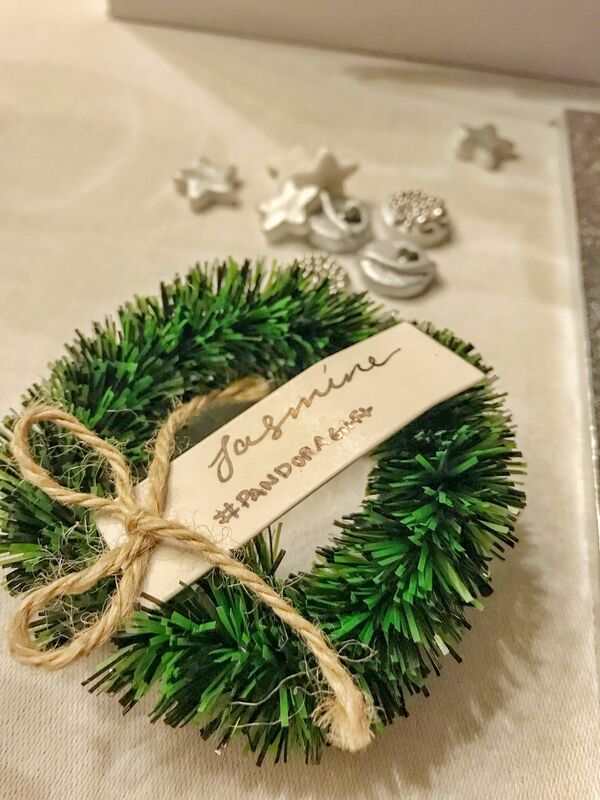 After a mingle and a canapé or two, it was time to get crafting. Emily from Maid of Gingerbread talked to us about her business and assisted us as we began putting together our own gingerbread house. She may have had to assist me a little more than the others, I am not crafty in the slightest…I was certainly glad to have Emily on hand. An assortment of icing balls, stars and beautiful edible PANDORA charms made of icing lay on our individual table setting. With coloured piping to hand, we all began crafting our individual gingerbread designs. It goes without saying, we all brought about our own unique creative flair to the event. 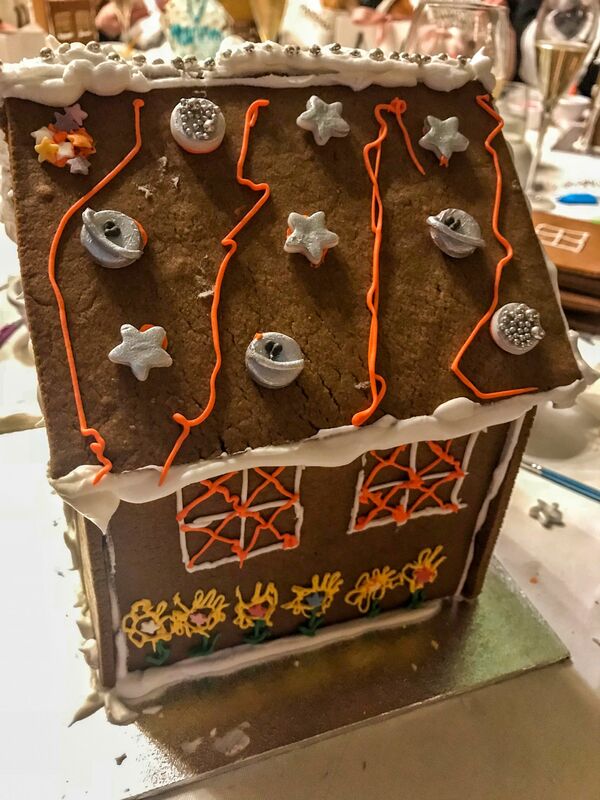 Gingerbread house design aside, I soon realised my house would taste nicer with more piping so I followed Laura Blair’s lead and went wild. 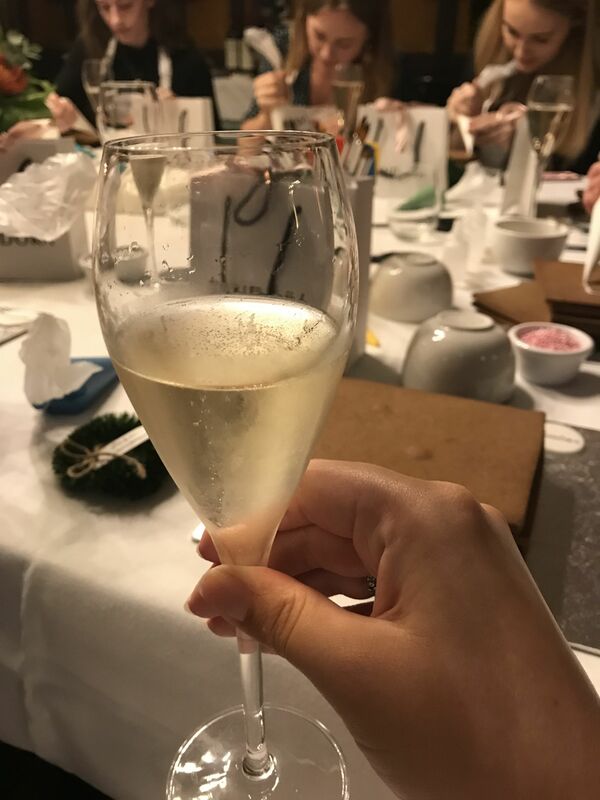 With seasonal songs playing in the background, nibbles and bubbles, it really enabled us to picture upcoming festivities as we mingled and talked about our blogs. It was great to be able to catch up with Sophie (Sophie’s Suitcase) as we are normally like passing ships at various events. I also got to have a laugh with lovely bloggers Cally (Love Cally), Ashley (Live Whilst You’re Alive) and Emily Becca as events began to get merry. 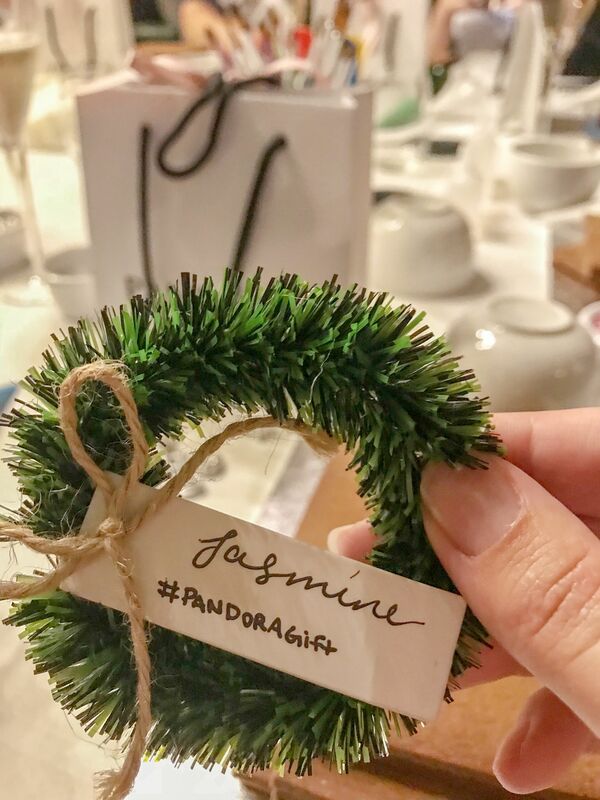 It really was a charming festive gingerbread house event with PANDORA. 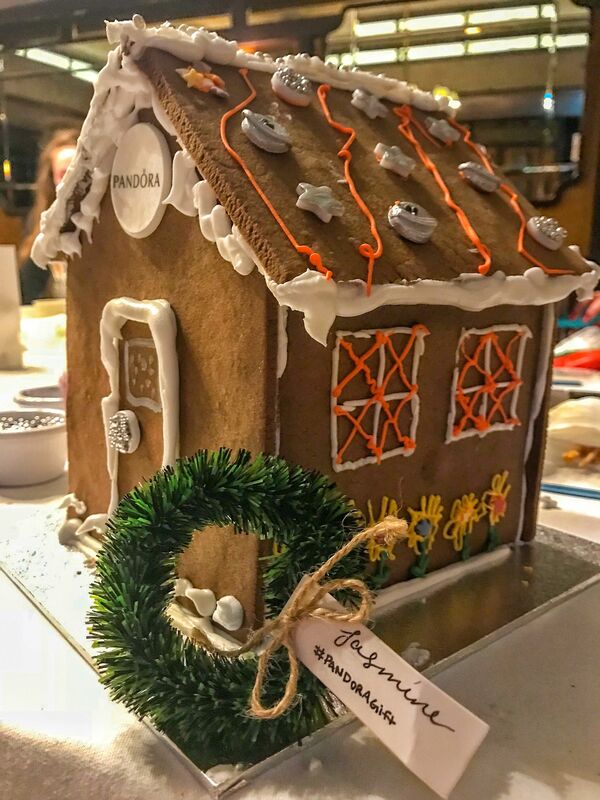 It was a pleasure to be invited along to make my first gingerbread house and get a first look at the PANDORA Christmas gifts. As always, PANDORA have a wonderful selection of affordable luxury gifts for Christmas. 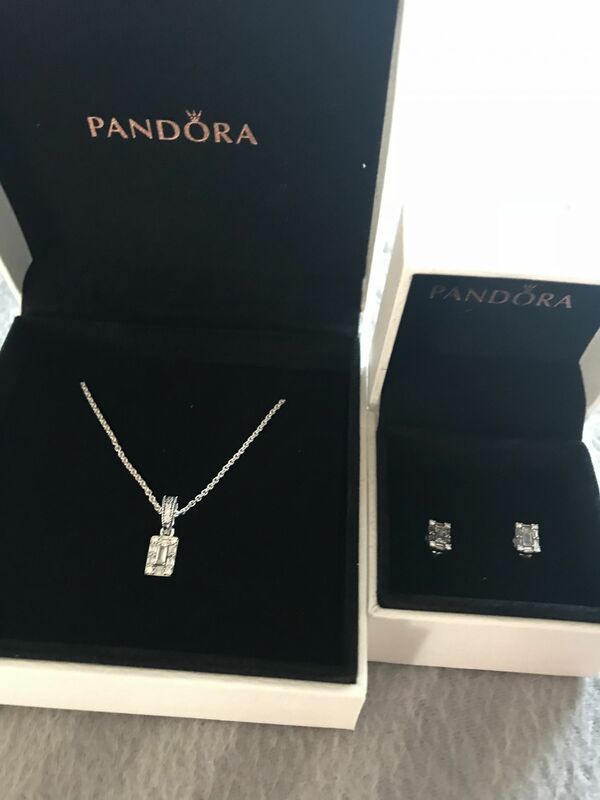 I had to contain my excitement in opening my own gift bag, containing the silver ice baguette gift set (earrings and necklace), which has now sold out. The Pandora rose ice baguette gift set is still available if you’re quick! I’ve not stopped wearing these items since the event and they are welcome new additions to my birthstone ring that my best friends’ bought me for my 30th birthday and the Dazzling Daisy ring that my Mum bought me. Not to mention, I got to keep my PANDORA apron so you never know, more baking could be on the cards! In the Christmas collection, Pandora even have a gingerbread house charm (so cute). A real pinch-me moment. 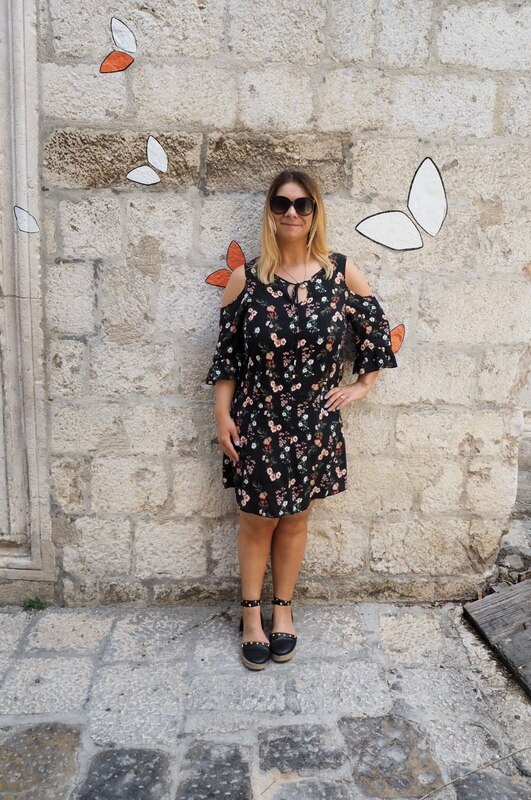 PANDORA and The Life of a Social Butterfly share a passion for storytelling and affordable luxury, maybe it wasn’t a dream and I was invited for a reason after all. If you would like to ring in the holiday season with PANDORA, browse their beautiful collection of Christmas gifts by clicking here. 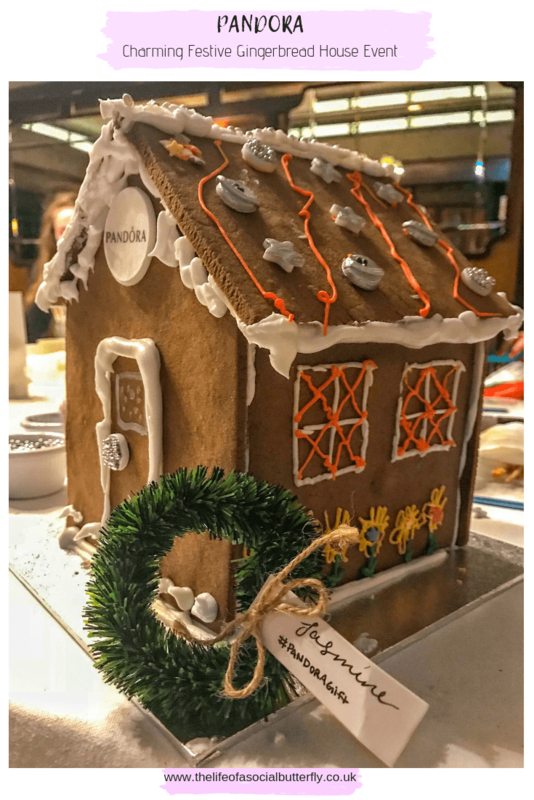 Are you charmed by the gingerbread house event with PANDORA? Why not design your own gingerbread heart box to hold some Christmas treats for your loved ones – Maid of Gingerbread’s 3D Heart Box. Alternatively, head to Biscuiteers to buy a DIY Hansel & Gretel Gingerbread House Kit. Those gingerbread houses are seriously impressive. What a fun event!